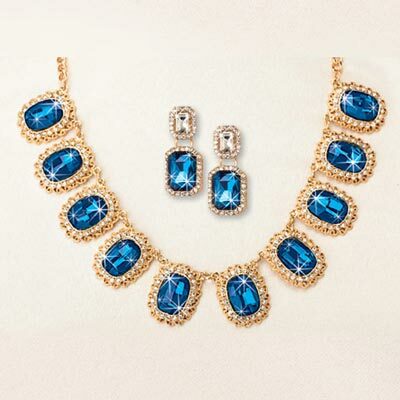 This Blue Goddess Jewelry Set is the perfect holiday accessory! Large faux emerald-cut stones are embellished with fine gold-tone scrollwork and sparkling clear crystals. Necklace, 18"l with 2" extender; Earrings, post backs. 2"l.